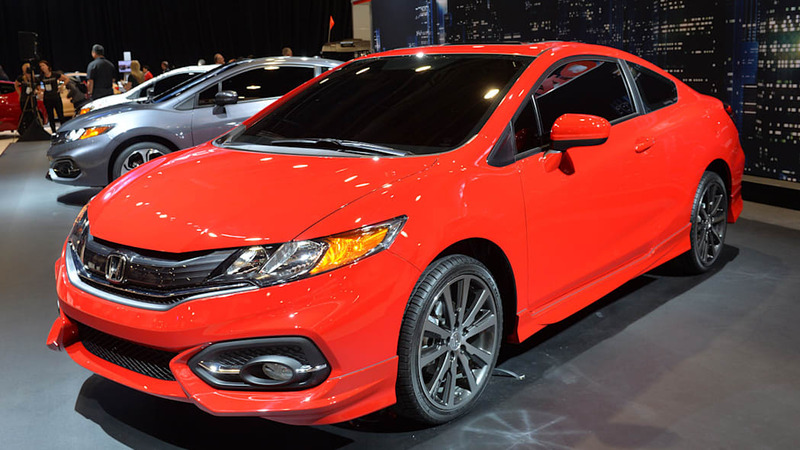 Honda took the wraps off its 2014 Civic Coupe (red car pictured above) and 2014 Civic Si (gray car in the gallery below) at SEMA today, revealing a mid-cycle refresh for each model. 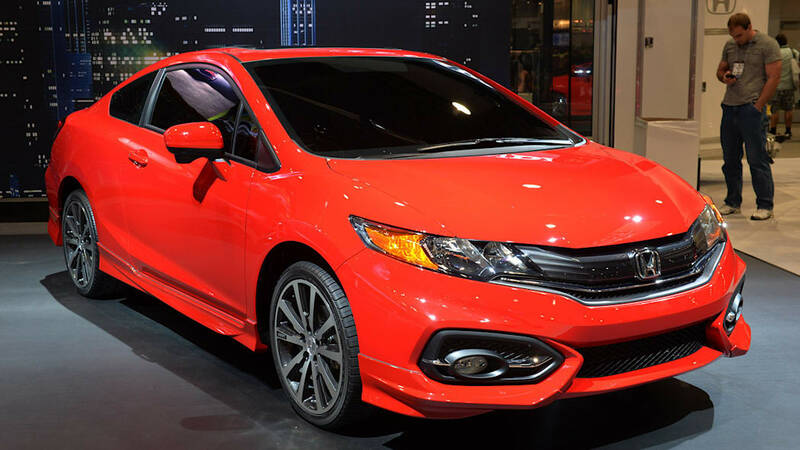 The standard Civic coupe benefits from several cosmetic enhancements, while the Civic Si gets the bulk of its improvements under the hood – precisely where the enthusiasts want them. 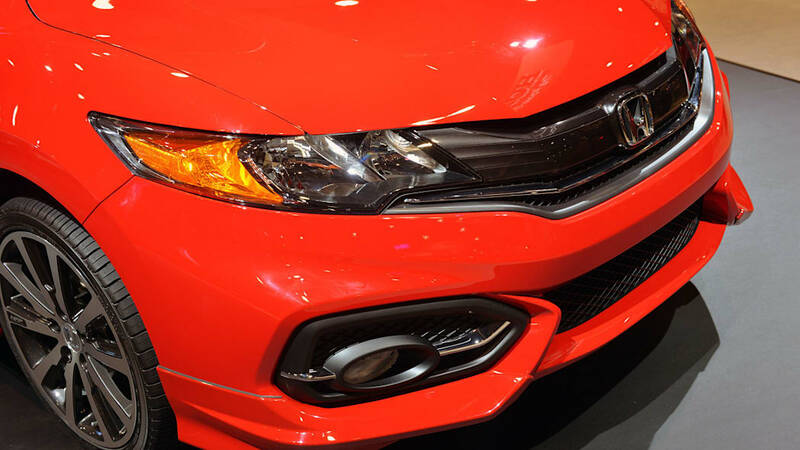 The best-selling Civic Coupe sports a new front fascia that is "fun and sporty," says the automaker. The more aggressive snout is a step in the proper direction, as its new shape and exclusive grille design gives the two-door a distinctive appearance that sets it apart from its sedan sibling. The rear end follows the same design language, as the lower portion of the urethane bumper gains some character – its smooth surface has been resculpted and recontoured. Newly available 18-inch wheels complete the exterior transformation. 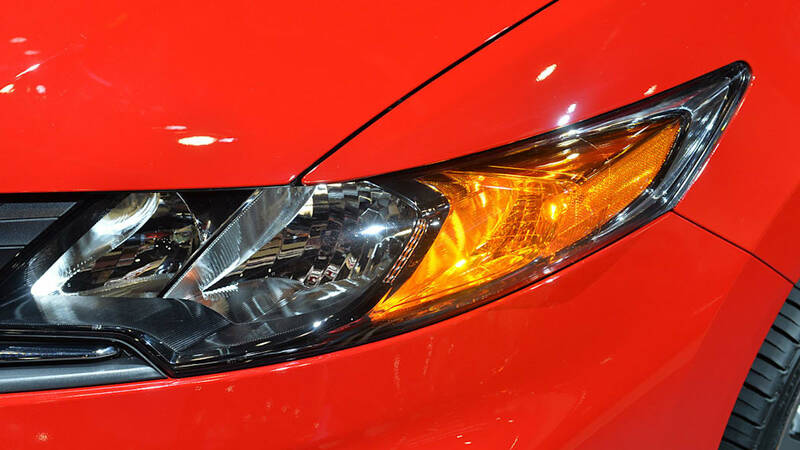 The 2014 Civic Si benefits from a larger spoiler and new wheels, but the big news is in the powertrain. 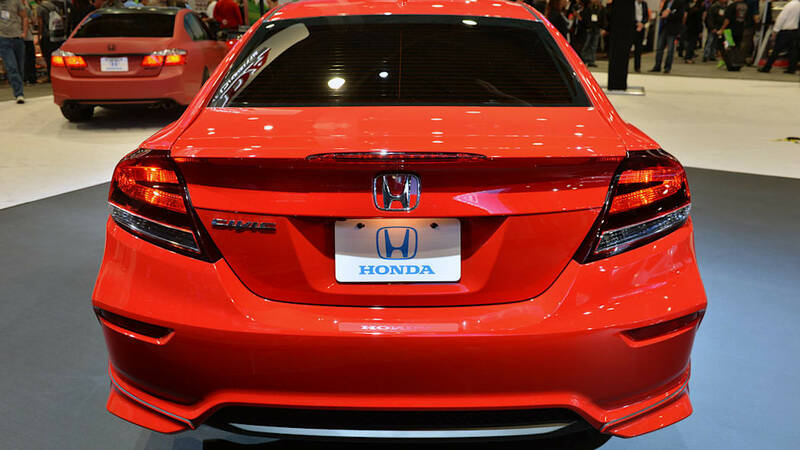 Honda has massaged the 2.4-liter i-VTEC engine and opened up the exhaust system. As a result, output climbs to 205 horsepower (up from 201) and torque increases to 174 pound-feet (up from 170). The power gains aren't extraordinary, but they should allow the coupe to hit 60 miles per hour from a standstill in about six seconds flat and still return over 30 mpg on the open road. Scroll down for the official release. 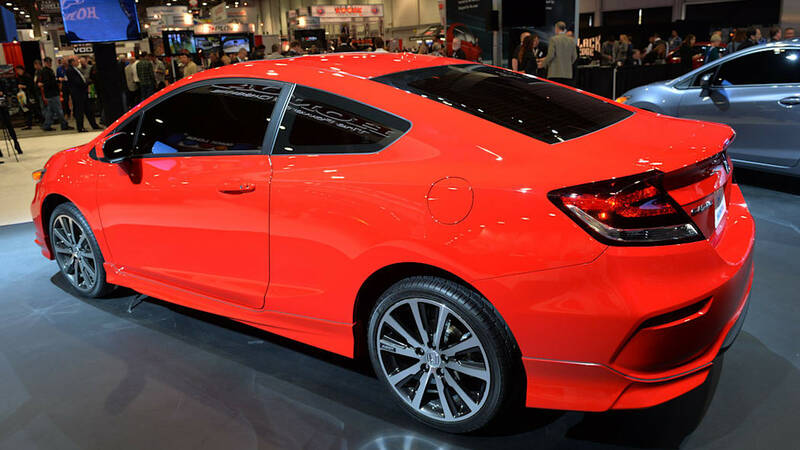 A significantly updated 2014 Honda Civic Coupe (http://automobiles.honda.com/2014-civic/) made its world debut today at the 2013 Specialty Equipment Market Association (SEMA) Show, offering a first look at new exterior styling updates to America's best-selling1 compact car. 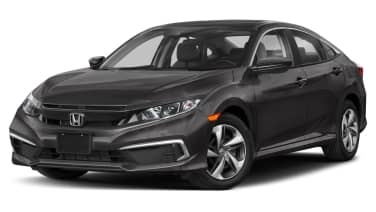 Honda also announced that the performance-oriented Civic Si will benefit from increased power and larger wheels and tires, making both the two- and four-door varieties even more fun to drive. Honda also surprised performance enthusiasts by announcing plans to begin sales of street-oriented performance parts developed by Honda Performance Development, Inc. (HPD), Honda's U.S.-based race engineering company, starting with a full range of performance accessories for the CR-Z sport hybrid coupe (http://automobiles.honda.com/cr-z/hpd.aspx) that go on-sale at Honda dealerships today. A power-boosting CR-Z supercharger package will follow in the spring of 2014. In the longer term, HPD engineers are also investigating other models and platforms in order to expand Honda's street performance product line. "With the further advancement of the 2014 Civic Coupe and Si models and an exciting path forward for performance parts drawing on our racing experience we are making a statement about our commitment to the fun to drive character of the Honda brand", said John Mendel, executive vice president auto sales for American Honda Motor Co., Inc. 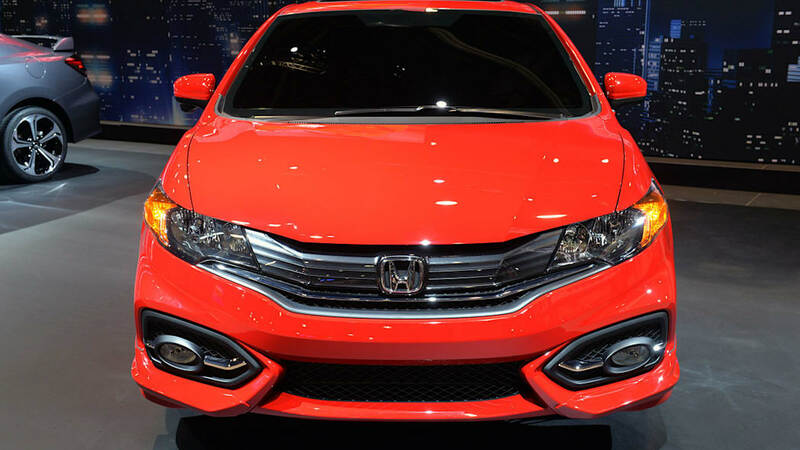 Following a major refresh of Civic Sedan styling for 2013, Honda turns its attention to the Civic Coupe and Coupe Si, implementing a host of exterior design changes that include a more aggressive grille, hood, front fenders and headlight design. Additional Coupe exterior changes include new taillight lenses, sportier front and rear bumpers, new side mirrors and new wheel designs. 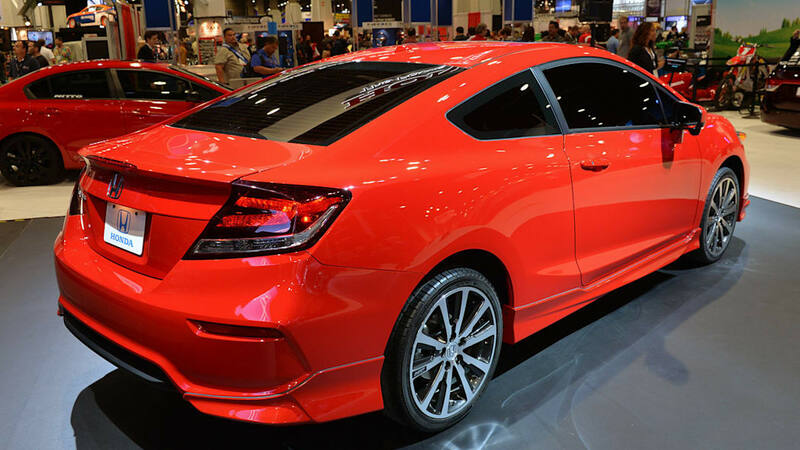 The Civic Si Coupe benefits from the same styling enhancements as the standard Civic Coupe but adds Si-exclusive design cues, including a unique lower front bumper garnish, larger rear decklid spoiler, a distinctive front spoiler and sporty rear air diffuser. 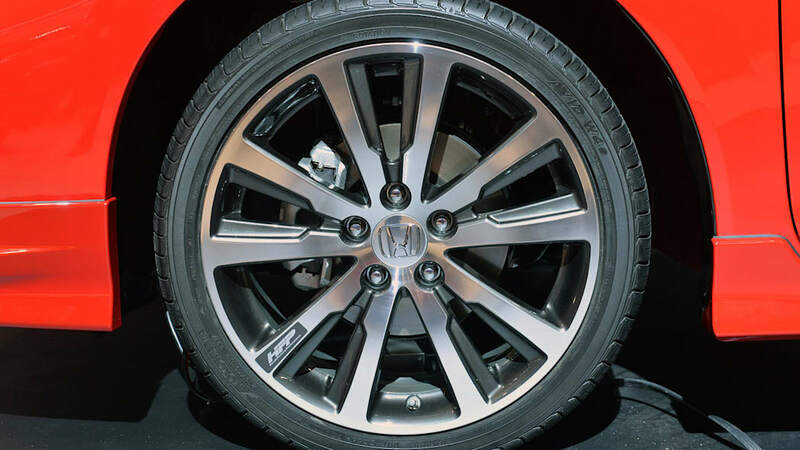 The Civic Si Sedan picks up on these same cues, and both the Si Coupe and Si Sedan get larger, 18-inch (+1 inch) wheels and tires with new wheel designs. The performance-tuned Civic Si Coupe and Si Sedan also get a retuned exhaust system that helps boost peak output to 205 horsepower2 (+4 horsepower) and 174 lb-ft of torque3 (+4 ft-lb). 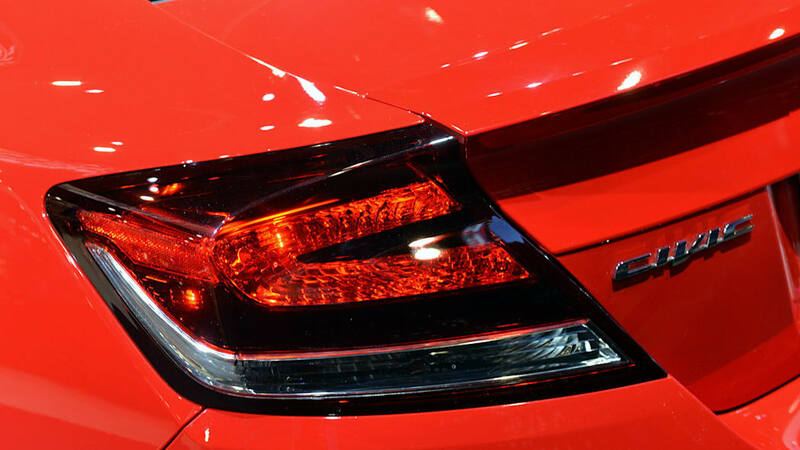 More details about the full 2014 Civic lineup will be made available at the upcoming Los Angeles Auto Show. On display at Honda's SEMA showcase are a 2014 Civic Si Coupe, a 2014 Civic Coupe EX-L equipped with a Honda Genuine Accessories aero kit and 18-inch wheels, the HPD Civic Si Coupe Race Car and the HPD Civic Street Performance Concept, an aggressive street performance concept featuring many HPD racing parts that currently only are available for sanctioned race cars.